I am an avid fly fisherman and employ the bait and switch tactic all March thru September in Southwest Wisconsin’s Driftless area. My grasshopper pattern from mid July through the end of the season floated on top while the scud or tiny beadhead nymph drifted18 inches subsurface. That’s good fly fishing strategy on a trout. What isn’t acceptable are some of the bait and switch schemes I see in the world of Regenerative Medicine approaching a charlatan designation. Let me explain. At Regenexx, we use your stem cells derived from your bone marrow and concentrate them in full accordance with the FDA guidelines. That is the only way degenerative arthritis of a joint may be treated in the US at this time. 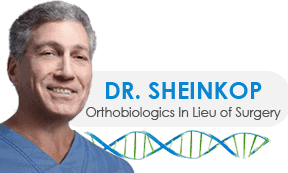 While there are several clinical trials taking place with tissue engineered for a geographically limited cartilage defect that may lead to osteoarthritis, to the best of my knowledge, none is based on the treatment of an arthritic joint. I was absolutely amazed earlier this week to surf the net and understand what might be on-line in attempting to attract patients to a given Regenerative Medicine clinic. From adipose derived stem cell advertisements to address your arthritis to misleading claims of third party reimbursement. From bedside stem cell machinery to harvesting cells without imaging from sources other than the Pelvis; “Caution, you are entering the no spin zone” as is announced nightly on cable news. Fact: Stem cells are only of value when liberated from adipose tissue by collagenase. It is illegal in this country to use collegenase liberated stem cells in the skeleton. Fact: There are no billing codes in Regenerative Medicine recognized at this time by third party payers. Stem cell intervention is not indemnified by a third party.